Order 100% Kiwi Business hardcover book. 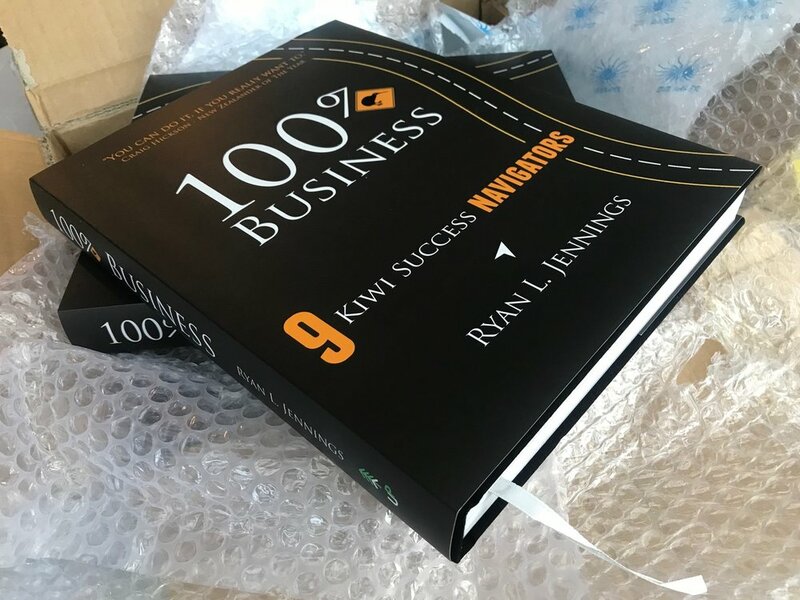 100% Kiwi Business delivers insights you can use to navigate your own business journey, through the wisdom of what's working today for 100 kiwi business owners on their journey. A vision for New Zealand's future. Insights and lessons from 100 Kiwi Business Owners and CEO's across almost every conceivable industry. 9 business success navigators for every business stage. 3 ways to restructure your marketing capability into a media publishing powerhouse. BONUS: Includes Over 200+ question prompts you can use to drive your business forward. Learn what’s working for Kiwi business owners, and the questions to ask, to unlock your own professional and personal success. This 100% Kiwi Business book has been produced using the century-old proven technique of offset printing, to produce a book of the highest possible print quality. 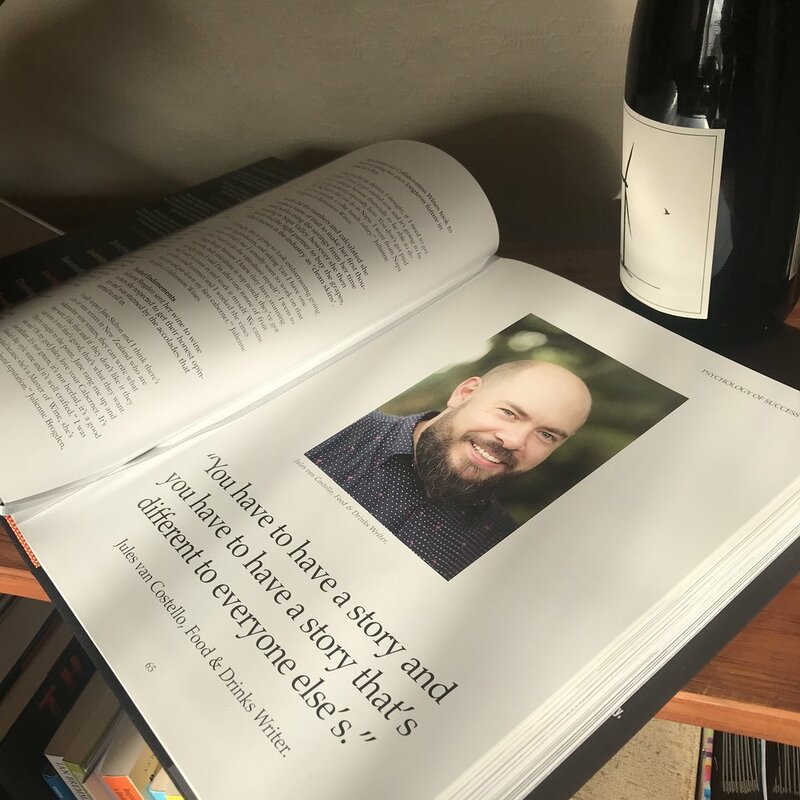 100% Kiwi Business book is a premium large format book. Because of that, we're not printing a lot and once they run out, there will be no more of this luxury version available. Ryan L Jennings Author, Kirk Hope CEO BusinessNZ. Steve Nathan receiving one of the first copies. — Michael Greenstein Digital Solutions, Fingermark Global. 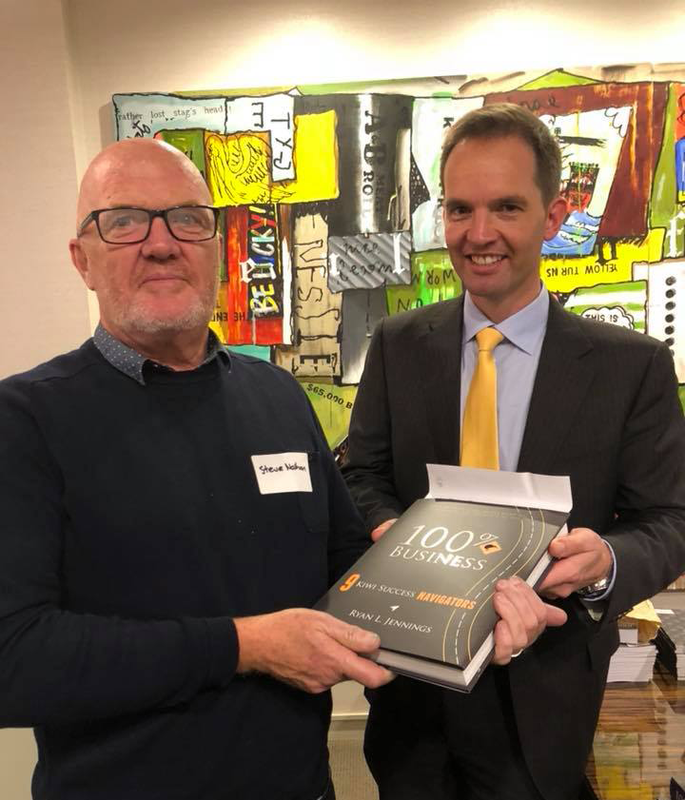 “‘100% Kiwi Business’ is a fantastic resource, both insightful & surprising, & truly relevant for those operating in the NZ business environment. — Louise Ward, Wardini Books. 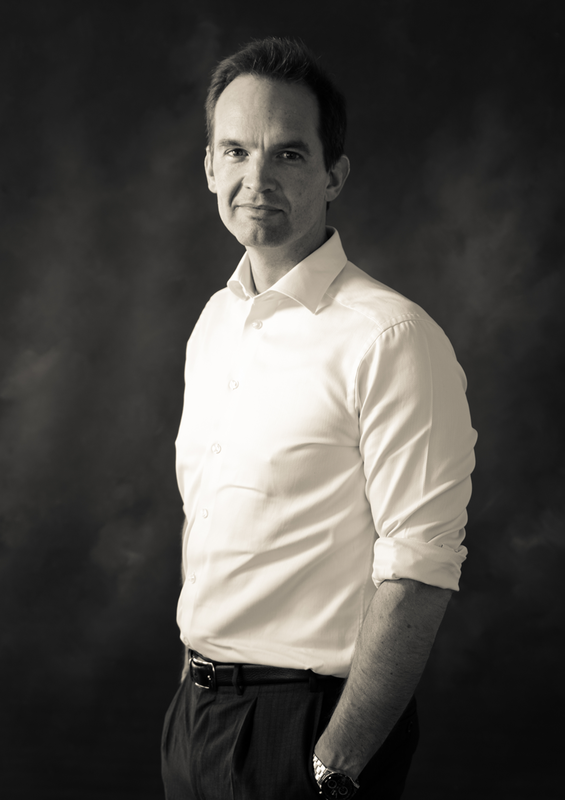 Richard Corney, Co-Founder Flight Coffee. — Corin Dann TVNZ - Q&A Current Affairs. “This book has been well researched. Not many business books are so comprehensive. — Karen Stratford - Aflex Technology, Nelson NZ. The books ship from New Zealand so for Kiwi's here you'll get yours within 72 hours. Order 100% Kiwi Business hardcover book to Australia, Canada, U.S. and the U.K.
Order 100% Kiwi Business paperback book on Amazon Prime. 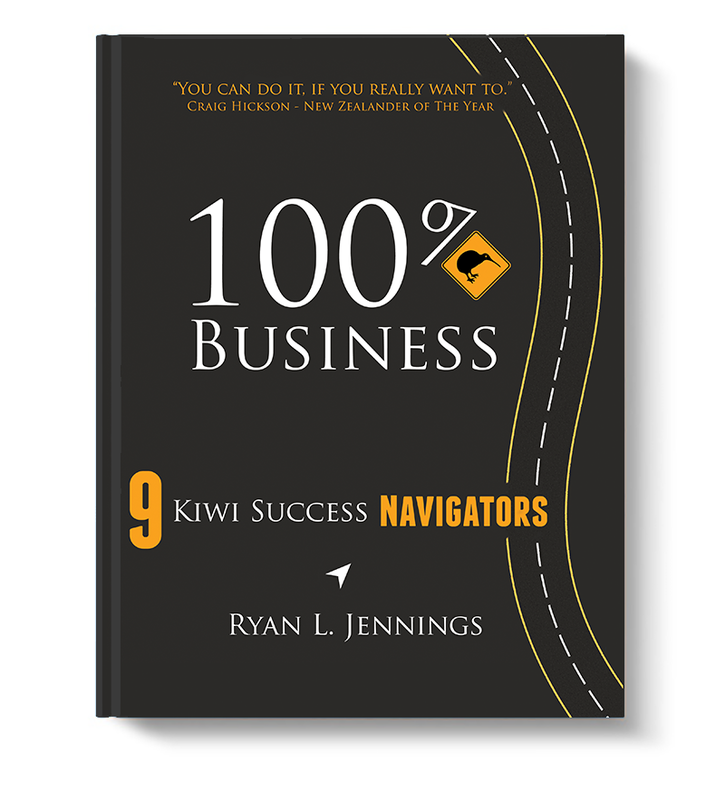 Ryan L. Jennings interviewed 100 business owners for the Ryan Marketing Show iTunes Podcast to share the goodness that New Zealanders are creating. He enjoys playing on the edge of business and technology and is curious about what happens next. Jennings is Executive Director Buy New Zealand Made Campaign, a NZ Business Mentor, Adviser, Speaker and Top Writer on Climate Change for the U.S. Medium Publication.